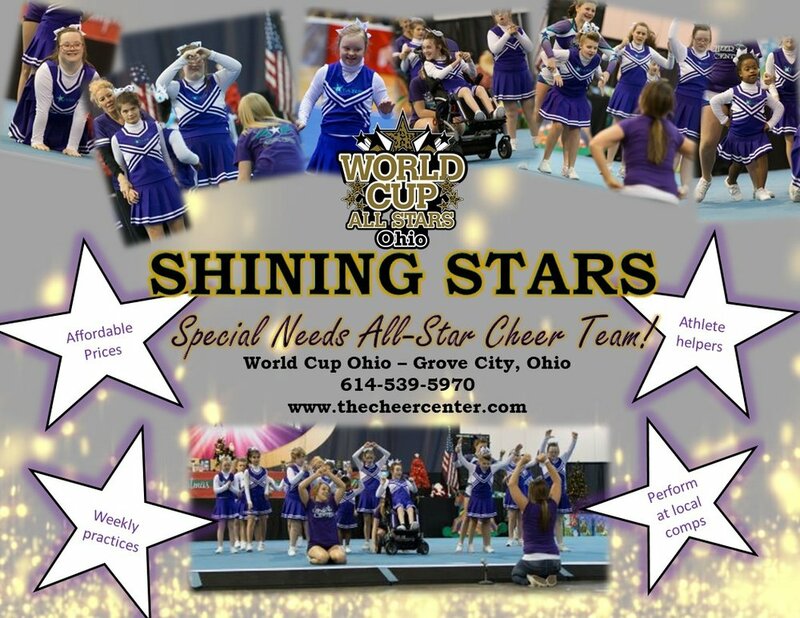 The Shining Stars is our amazing All Star cheerleading program for special needs athletes in our Grove City, Ohio, location. Shining Stars is open to athletes of all ages and abilities and they give exhibition performances throughout the season. We are excited to be able to offer children and young adults with special needs the opportunity to participate in a sport that is filled with excitement and fantastic life lessons. Team members practice one hour a week. Any age and any ability is welcome. Uniforms will be discussed at the first meeting. The team is coached by trained professionals and is ably assisted by many of our All Star athletes. If you are interested in our Special Needs team please Contact Us.